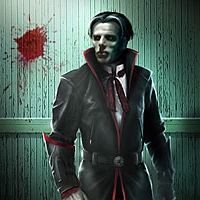 The Blood Nobles are the Merovingian's special brew of exiles, breed to spread fear through out the system. Malphus is looked apon as the head of the blood sucking exiles. Special orders are sent to the head Nobles by Malphus himself. Some, if not most, of these commands are not run by the Merovingian. These special assignments often benefit the Merovingian, who in turn offers the Nobles protection. The Nobles tend to keep to themselves, and rarely appear in public areas, especially well illuminated areas. They prefer darkness, as it makes it easier for them to hunt their prey. Once and a while rumors fly through the city that someone had been bitten by some sort of blood sucking animal. This of course is the doing of the vampires. Defenseless bluepills are the typical prey of the Nobles, but they much prefer the blood of the redpills, especially that of opposing organizations. According to Malphas the only way the Nobles can get their way is if they first give into the command of the Merovingian. Malphas has stated that they will do so willingly, and carry out whatever task they must. After much talk the Merovingian finally told Malphas and the head Noble what must first be done in order to get anywhere close to discovering a new threat to the vampire race; a cure. The head Noble stated that all Nobles must begin preparation for... a sabotage. It has been said that late at night, if you listen carefully, you can hear shrieks of pain coming from a specific club in Downtown. The head Noble along with Malphas recieved word from the Merovingian that they have the go to launch an ambush on the Zion operation. Malphas stated that in order to successfully obliterate the Zion operation the Nobles must find the Bluepill that is being escorted by Zionite operatives and eliminate them. The Bluepill should be carrying data revealing plans that belong to the Merovingian, which will be on their way to a Zion captain. The Bluepill must be eliminated, the data secured, and all other resistance struck down... Lock'n Load.